Jessie Holeva and Justin Bostwick paid for their wedding out of their own pockets. Photo courtesy of Audrey Gallagher of Olive Eye Photography. Find out where they splurged and scrimped and whether they stayed within their designated budgets. Planning a wedding stirs up feelings of exhilaration for the future. From the tangible items such as dresses and decor, to the emotional hand-written vows, weddings are a monumental day that couples long await, signifying the union of two becoming one. But some couples find themselves disrupted by hefty sticker shock during the planning process and oftentimes incur more debt than desired. While this has become an upward trend in most modern day weddings, it could soon be a thing of the past as some couples are resisting the urge to spend frivolously. We spoke to four former brides on their budgeting choices, real costs, why they chose to go over or under, and their advice for future brides-to-be. *Note that the total cost for each wedding includes other expenses beyond what is listed. Jessie Holeva and Justin Bostwick. Photo courtesy of Audrey Gallagher of Olive Eye Photography. Jessie Holeva and her husband paid for their wedding out of their own pockets, so the two of them went in with a practical $20,000 budget. They knew they wanted to not only stay within a tighter budget, but wanted their venue to provide a level of sentimentality representative of their relationship. Jessie and Justin decided to give themselves a strict timeline as well. In the end, the couple stuck to their budget, spending around $25,000. When asked how they managed to have what appeared as an extravagant wedding minus the price tag, Jessie says their wedding budgeting success can be attributed to a few factors: smart spending, coupons and choosing the right items to DIY. Jessie admits she was fortunate to have the help of some friends who work within the industry. In addition, her future mother-in-law gifted hair and makeup and the live entertainment. Jessie also saved a bundle on her wedding dress. The heavy discount was all thanks to another bride who returned the dress because she had found another. Aside from her own spending, Jessie remained conscientious of her bridesmaids’ wallets, too, allowing them to purchase dresses of their choice and combining her bachelorette party and bridal shower into the same weekend. Budgeting advice for future brides: Have an idea of what you want, but be open-minded. Don’t have your heart set on one specific thing, one specific way. 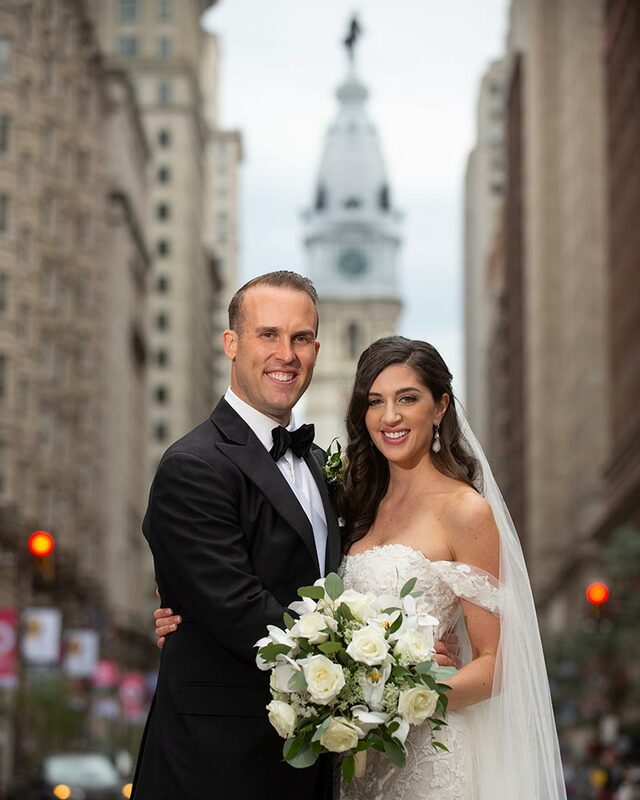 Kate and Bradley Williams got married at The Ballroom at the Ben in Philadelphia. Photo courtesy of Todd Zimmerman of Pictures by Todd. From the moment Kate said yes, she knew a lavish wedding was absolutely in order for the two of them. 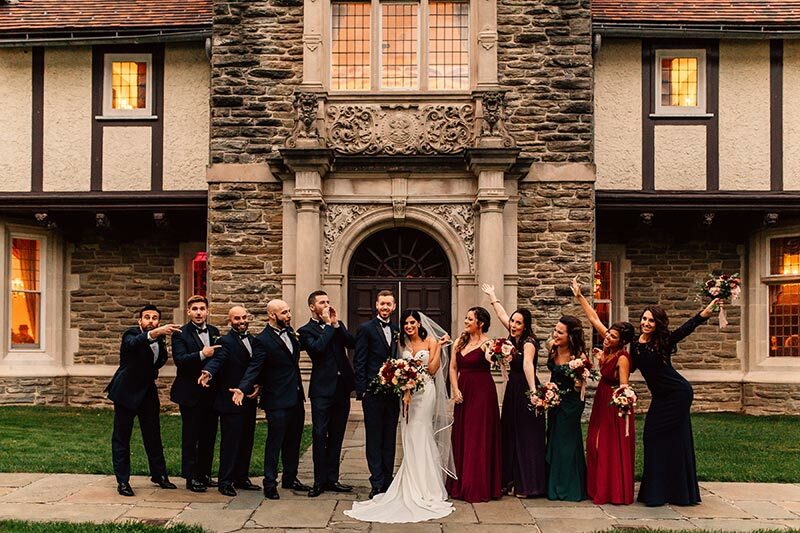 A registered nurse at Thomas Jefferson University Hospital in Philadelphia, Kate abides by the simple saying of “work hard, play hard,” which resulted in a 200-person gathering of friends and family at one of Philadelphia’s most iconic wedding venues, The Ballroom at the Ben. The prestigious venue boasts sparkling chandeliers, architectural intricacies and even a certain familial tribute to Kate’s uncle, who several years prior worked there as a maître d’. The couple’s wedding ended up maxing out at a little over $75,000, which was slightly more than their initial budget of $70,000. What exactly was behind the higher price tag? Besides the venue itself, Kate admits to “those little things you don’t originally think of,” like after parties, flower walls, upgraded linens and videographers. The couple decided to eliminate the wedding favors and hotel guest bags. Kate also scored her dream Pronovias Altelier gown for a great deal at La Belle Mariee Bridal, owned by mother-daughter duo Michelle and Gabrielle Frederico. 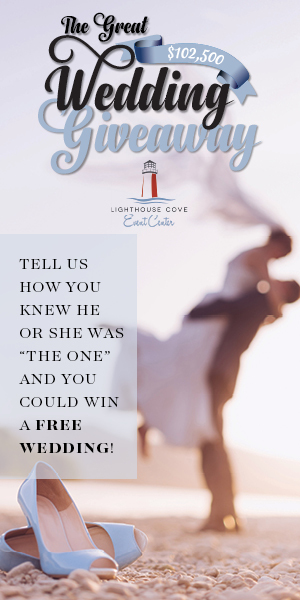 Her husband chose to wear a black tuxedo he already owned and loved for their special day. Marie and Brad Swasy said the cost of their wedding was well worth it. Photo courtesy of Life Images of Kennett Square. Marie and Brad were both attending chiropractic school in Florida when they got engaged. On top of preparing for January internships and juggling extensive classwork, the two were also trying to plan their wedding. Marie knew she wanted the wedding to happen before she was officially licensed to practice, so her license could reflect her new name—but the two were faced with minimal options and days available. While the couple’s wedding totaled approximately $40,000—more than what they originally hoped—the cost, they say, was well worth it to have minimal planning worries. The hotel’s all-inclusive package had everything they needed—food, a full-bar, flowers and a cake. The guest list however, wasn’t the only thing the couple kept to a minimum. With only a maid of honor and a best man, Marie says they didn’t have to worry about the expenses associated with a full-fledged bridal party. Marie also mentions the seasonal timing of their wedding ended up saving them financially, too. With the Christmas decor abounding from room to room, Marie says the venue truly didn’t need anything more than a few floral arrangements from an outside florist. Gabriella and Matt Steindl had a very specific vision for their wedding day. Photo courtesy of With Love & Embers. 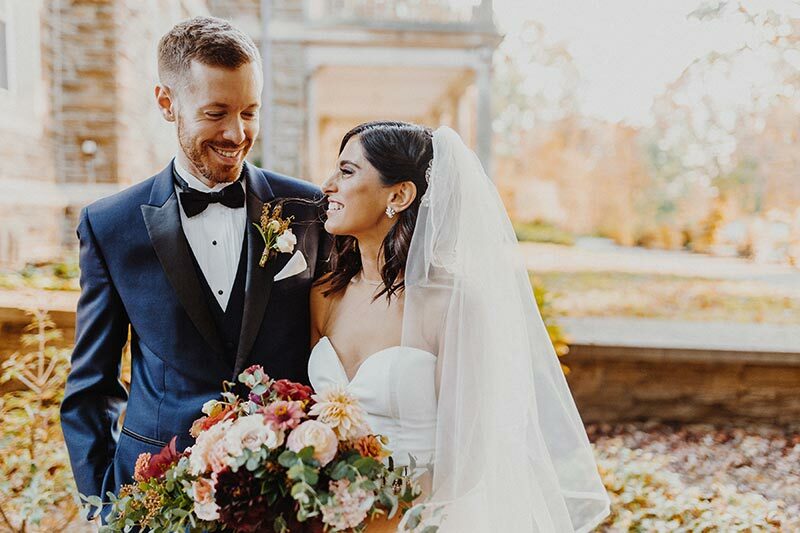 Gabriella and Matt Steindl had a very specific vision for their big day: a quaint gathering of friends and family, in a rustic, bohemian setting with no shortage of botanicals and vibrant foliage. 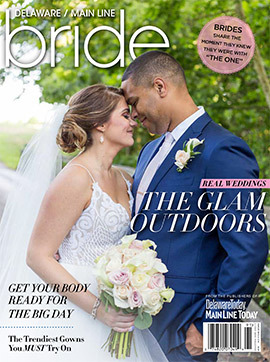 Similarly to her relationship with Matt, Gabriella says they “just knew Terrain was the one.” From there, Gabriella began planning all of the subtle and major nuances that weddings entail. For what originally was intended to be a relatively inexpensive endeavor, the couple was surprised to find that their wedding topped out at a little over $50,000. Despite spending more than anticipated, the two made sure to do their research before making certain purchases. 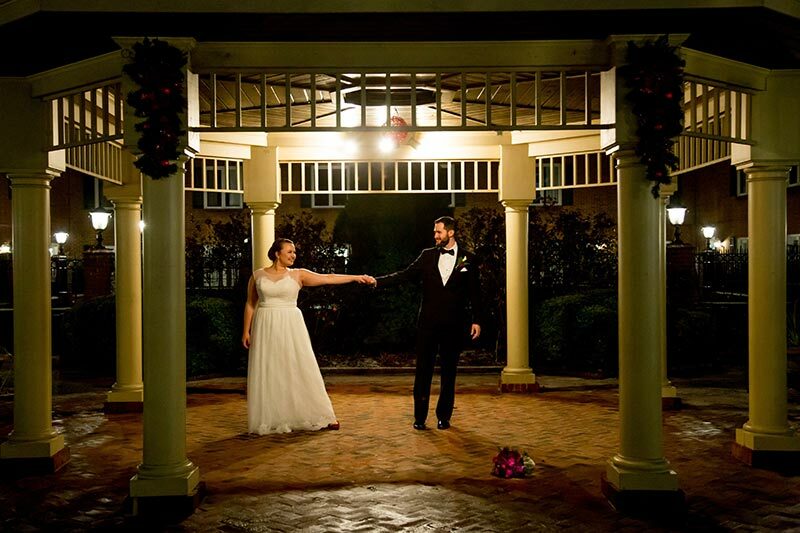 “We originally wanted to hire a videographer, but after looking at prices, we decided against it,” she says. In addition, Gabriella and Matt opted to use Minted, an online marketplace for customizing one-of-a-kind wedding stationery, which saved them a few hundred dollars on invites. A stroke of good luck also happened to save the couple a large chunk of change. While shopping for a dress, Gabriella stumbled upon a trunk show at Lovely Bride in Philadelphia. There she found a whimsical Watters gown boasting intricate lace detailing for a fraction of the original cost, and less than her original $3,000 allotted budget. Thanks to Gabriella’s fortunate find, she and Matt were able to allocate money elsewhere to services that truly mattered most to them, such as photography and entertainment. Their venue selection provided an on-site events coordinator and catering, which prevented the hassle of hiring two more outside vendors. 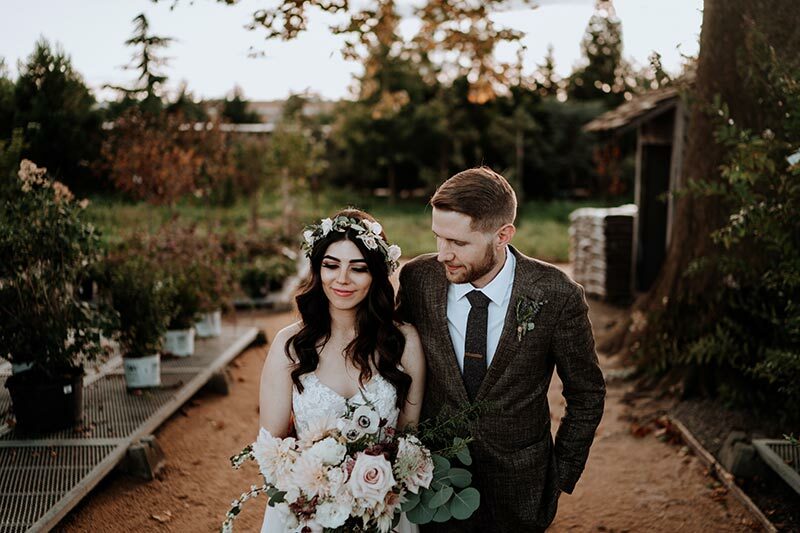 “Although we spent the bulk of our budget on the venue alone, we were originally looking at our wedding as more of a DIY, but after running the numbers, we would’ve ended up spending the same amount in the end,” Gabriella notes. Budgeting advice for future brides: Do thorough research and figure out what services will be the most important in making the dreams of your big day a surefire reality.